ALL THE BELLS & WHISTLES! 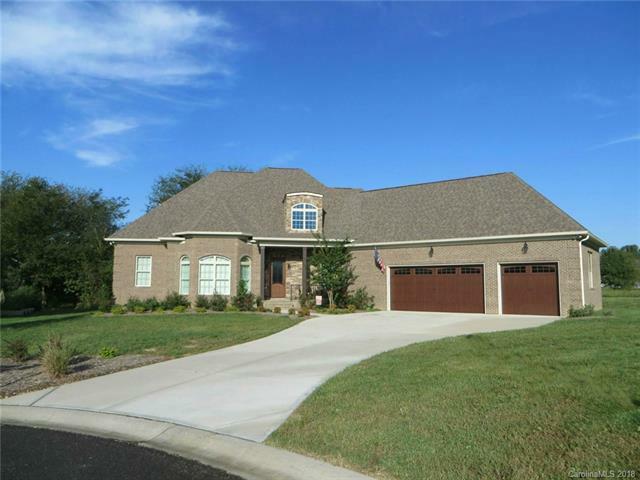 Custom, full brick brick w/ stone accents, cul-de-sac location, 3 car garage. Welcoming front porch & beautiful leaded glass door. Casually elegant & perfectly designed for today's lifestyle w/ high-end, quality finishes throughout. Hardwoods, moldings & designer lighting everywhere, porcelain tile in the full baths. Enter into the grand Great Rm w/ bay window, tray ceiling & double sided stone fireplace to the DR. Amazing Chef's Kitchen has top of the line ss appl. incl gas stove, granite, tile, center island w/ seating, walk-in pantry. Split floor plan. The Master is truly a retreat w/luxurious spa-like bath that incl. a free-standing soaker tub & incredible tiled shower w/multiple heads. On the opposite side of the home is a BR & full bath, private & perfect for guests. Laundry has storage + utility sink, drop zone. Upstairs you'll find flexible space w/ a 3rd BR & full bath, huge Bonus/4th BR + Media/Rec Room. WOW! You are going to love the rear porch!